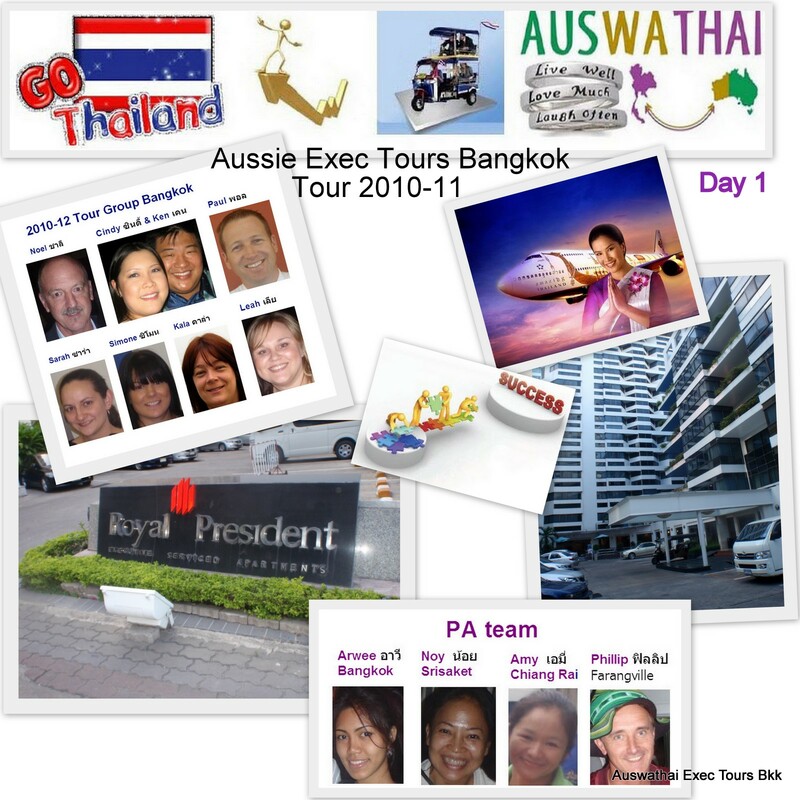 Australian Execs enjoy the tour and Thailand rolls our a Tour that is second to none! A combination of Team Building, "Sharpen the Saw", lavish lifestyle and a good dose of kinship and hospitality Rejuvenation that "Thailand does like no other". "There can be but only one"
"Laeh kha suan dtua" = "P.A." 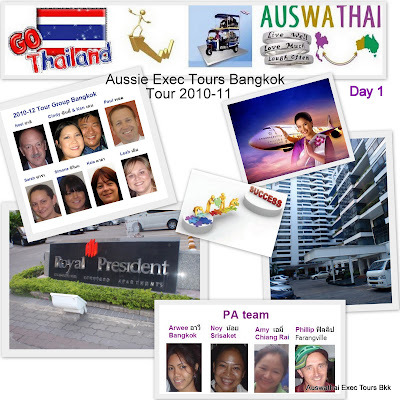 Our authentic (not academic) local Thai team of P.A. 's (Personal Assistants) are avail 24/7 to ensure a seamless and dynamic experience. "after 4 days I thought I had been here for 2 weeks"
Results L.I.F.E. (Leadership, Integrity, Flexibility, Efficiency), without "Flexibility" it's a L.I.E. Bonus - we found a well deserving Charity in Bangkok. Testimonal - assessment by the Marketing dept of UWA (University of WA) - see below or (see PDF).